Cue that classic Norman Monty guitar riff it’s a brand new podcast dedicated to the movies of James Bond 007. With the 24th Bond film Spectre just round the corner now is not better time to get excited the world most famous secret agent. Hosted by Rebecca Andrews, she is joined by Dave Bond (no relation) and Chris Byrne, this first episode we just chat about the Bond films in general before we focus on each film individually. 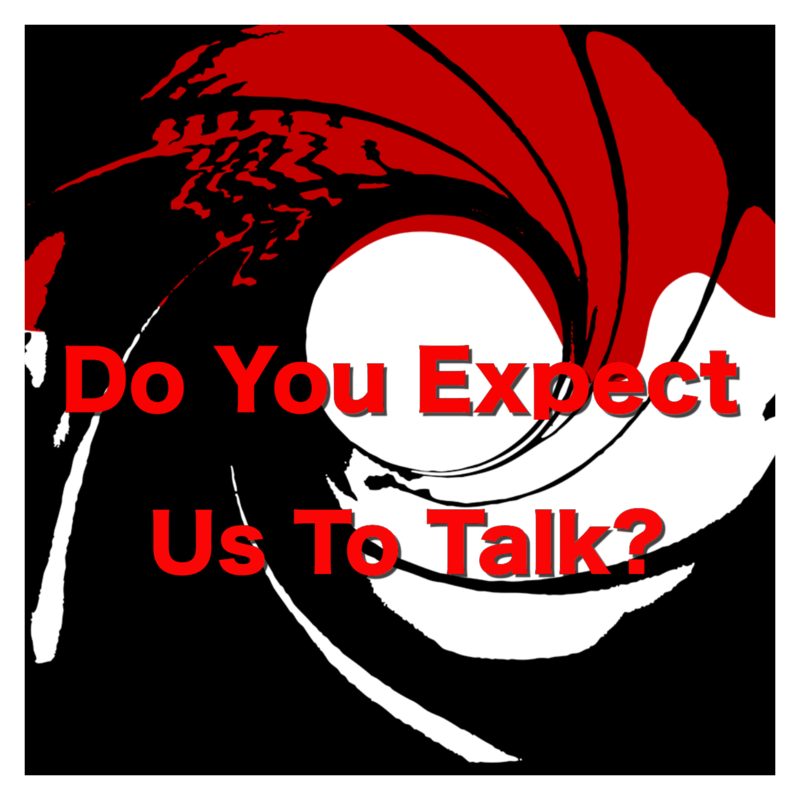 We talk about favourite Bond actors, films and gunbarrel’s. This entry was posted in Do You Expect Us To Talk? and tagged chris byrne, cinematronix, Dave Bond, expect us to talk, fleming, gunbarrel, james bond, John Barry, movies, podcast, Rebecca Andrews by Chris. Bookmark the permalink.